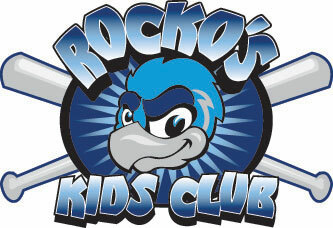 May 15, 2006 - CRESTWOOD, Ill. – The Rockford RiverHawks’ new acquisitions provided most of their highlights in an exhibition doubleheader split at Windy City. The RiverHawks salvaged the nightcap, 6-3, after they dropped the first game, 4-1. Each run in the doubleheader was driven in by a player who wasn’t on the roster when the 2005 season opened. In the opener, Windy City scored all of its runs in the second inning off Rockford starter Mike Greenhouse. Luis Gonzalez hit a two-out, two-run single, followed by back-to-back RBI singles from Tony Seratelli and Chad Hill, the first overall pick in last week’s Frontier League draft. Brett Holmes, Rockford’s first-round pick in the draft, broke the shutout with a sixth-inning home run to left field. Mike Mlotkowski started for the ThunderBolts and struck out five in three shutout innings for the win. Former RiverHawk Curt Borland walked the bases loaded in the ninth, but held on for the save. In the nightcap, the RiverHawks took a 2-1 lead in the third inning with the aid of their rookie talent. Bahamian Geron Sands led off with a triple and scored on a Cody Brooks single. Brooks later scored an unearned run. In the sixth, moments after his at-bat was extended by a dropped foul pop, Nick Johnson hit a two-run homer. Johnson was picked up from the ‘Bolts in a trade last July. Auggie Rodriguez, acquired from Mid-Missouri in last fall’s dispersal draft, got the win. Ryan Brnardic pitched a scoreless ninth for the save. Jason McMillian lost in relief. The exhibition schedule concludes with a doubleheader against the ThunderBolts at 4 p.m. Thursday at RiverHawks Stadium. The regular season starts at 11:35 a.m. Wednesday, May 24 at Windy City. Opening Day at RiverHawks Stadium is 7:05 p.m. Wednesday, May 31. The RiverHawks are members of the Frontier League, a 10-team independent professional baseball league that will play its 14th season in 2006. Advertising, ticket and suite information is available by calling the box office at (815) 964-2255. All games are broadcast live on WRHL-FM, 102.3 – the Hub and online at www.rockfordriverhawks.com.